Clinique Ruby Pop was my first red. The formula is matte yet hydrating. The Clinique pop lipsticks have a built-in primer designed to ensure your lips don't become something which resembles the Sahara. This is a pure red shade, no undertones to speak of, the middle ground. Nars Red Square is my orange based red. The red which seems to be more summer appropriate and casual. I love the application of this one - its an oversized lip liner, and it just becomes the easiest red to apply and wear. Jeffree Star RedRum is the ultimate in Matte. It can often be dry and hard to wear, but it is the price to pay to ensure it lasts for the day. 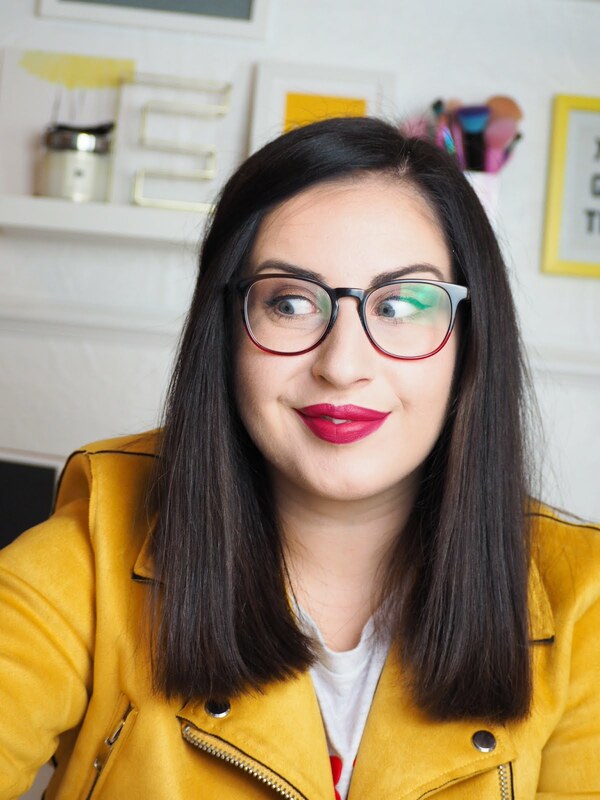 The shade is blue based, which seems to be the most flattering of reds when it comes to showing your teeth (making them appear whiter rather than yellow) I won't opt to wear this for a full 12+ hour day - but for a night out or a few hours this packs one hell of a punch. Kat Von D Outlaw, however, remains my ultimate red. 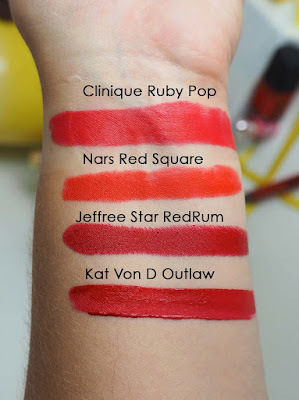 I am definitely not the biggest fan of liquid lipsticks but I cannot doubt the ease of them when it comes to a red. There is little risk to it appearing on your chin or teeth, easy to reapply and it just doesn't budge. 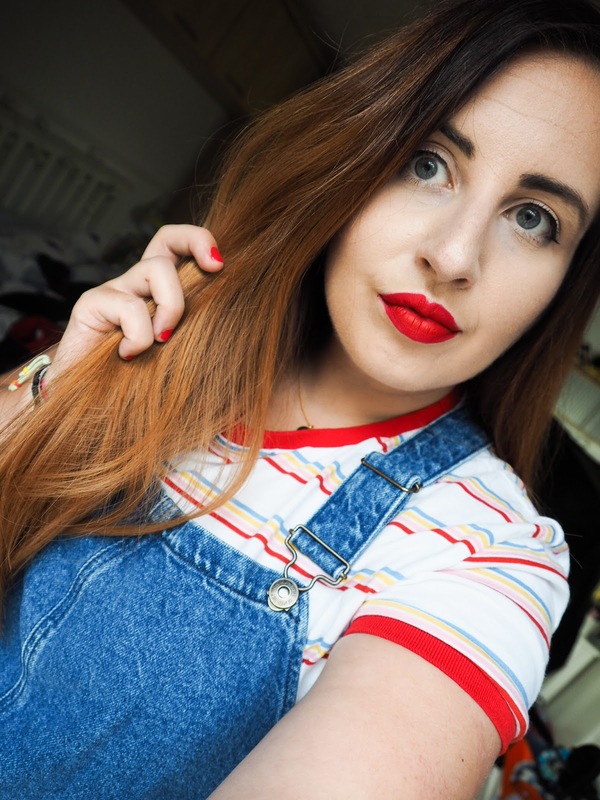 The shade is just utter perfection, and this seems to be the one I reach for if I want to rock a red (which is quite a lot) - I am wearing this shade in the picture. 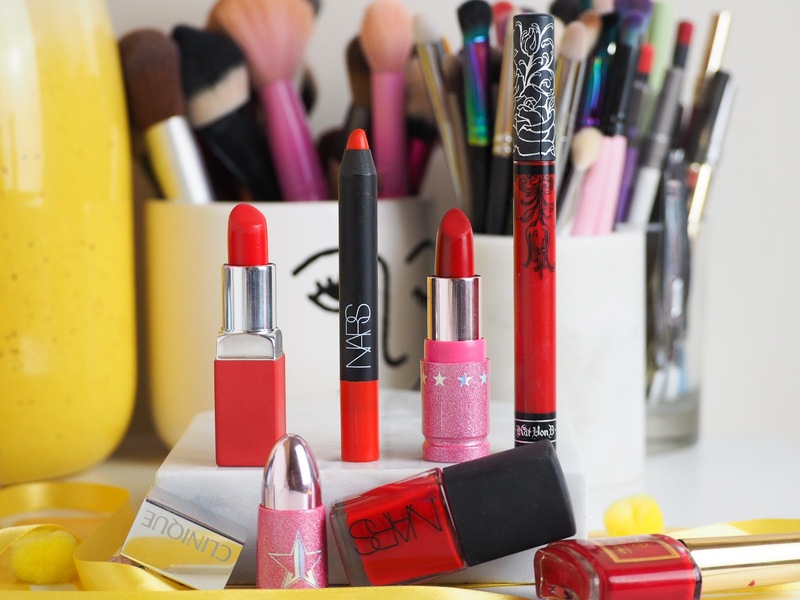 Do you wear red lipstick? Which is your favourite? Let me know in the comments below - because I am always on the lookout for new ones to try.